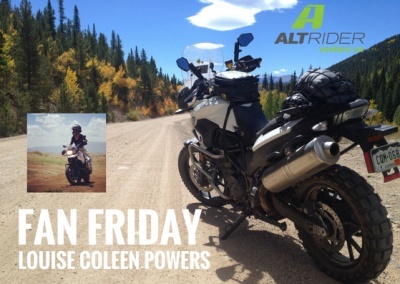 Today's Featured #AltRider Fan is Louise Coleen Powers. I first learned about AltRider parts when I saw them on someone's bike, and made the comment that I thought they looked beefy. Then it seemed that once I learned about the company, I saw it everywhere. I love that the products are American made and I love the thought, planning, and design that goes into the individual pieces. But most of all, I love that so far, no matter what terrible circumstances I put my bike into, those pieces protect the bike and still. Look. Great. I have three bikes that make the rounds, but my new F 700 GS is kitted out in AltRider, and getting more. 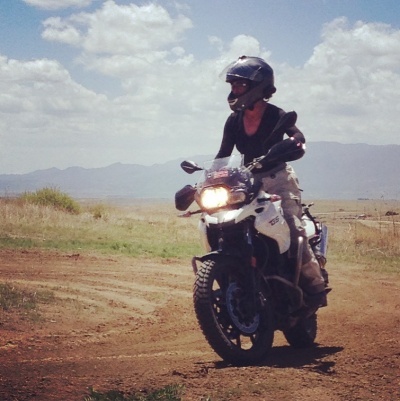 This riding season, instead of taking a huge trip on the bike, I've stayed around Colorado, coaching new off-road riders on big bikes. 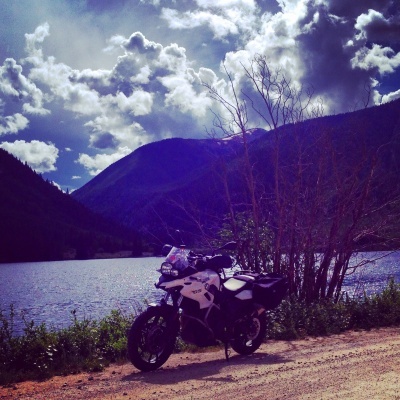 I was a lead dual-sport instructor for the ADVWoman Rally in Granby, CO, and helped organize ROCKMOR, a combined GS Giants and GS Girls rally in Buena Vista, CO. With the winter coming on, I'm going to start getting my bike prepped for my upcoming nine month trip to South America. I'm so excited!